PHOENIX – The Phoenix City Council on Wednesday agreed to proceed with the development of the South Central light-rail extension, however, the council also approved a motion directing Valley Metro to evaluate the possibility of maintaining four lanes of surface roads along portions of the $965 million project. The number of lanes is a major sticking point with some residents and business owners. Councilman Daniel Valenzuela said stopping the project would have financial consequences. A grassroots community group had asked the council to delay the project by 90 days, and Williams had agreed to hear from residents. During an hours-long public hearing Tuesday, people packed the council chambers, but the council did not vote on the issue. Some residents spoke in support of the extension and many questioned the city’s transparency and the design of the 6-mile project, which is scheduled to begin late next year. Much of the public response at Tuesday’s hearing focused on the plans to reduce traffic along Central Avenue to two lanes from four. In response, when the council met Wednesday to vote on the issue, Councilman Michael Nowakowski introduced a motion that would require Valley Metro evaluate whether the project could accommodate four lanes if it fits within the project’s “federally approved environmental footprint,” said Corinne Holliday of Valley Metro. The council approved that motion 6-2. Valley Metro now will examine whether it can do such things as remove bike lanes and vegetation to allow more lanes. The agency also will review alternative designs and conduct community outreach about the planned extension during the next three months, city spokesman Lars Jacoby said via email. “It’s confusing because the business group asked for a 90-day pause, but that’s not what this is, it’s just a three-month period to do all that council asked – design review and outreach,” he said. Councilwoman Kate Gallego and Vice Mayor Jim Waring voted “no” on the motion to explore extra lanes. Gallego, who has supported the extension, said Wednesday’s vote could threaten the project. At Tuesday’s meeting, Phoenix and Valley Metro officials had defended their public-outreach efforts and warned that any delay could jeopardize federal grant money helping to pay for the project. 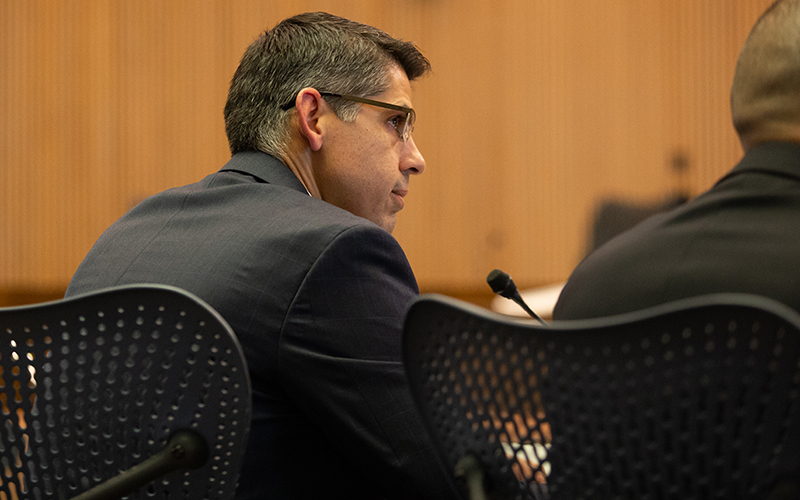 Deputy City Manager Mario Paniagua said the project faces a July 31 deadline to apply for the “federal engineering phase” of the project and planners would have to “start all over” if they miss that deadline. At Tuesday’s meeting, Smith also noted that Proposition 104, the sales-tax increase to pay for the extension and other Phoenix transportation projects, was approved by 55 percent of voters in August 2015; the approval was 75 percent of voters along South Central Avenue, he said. Nowakowski said many of the meetings were poorly attended, and many community voices might not have been heard. Smith refuted this, saying Valley Metro hung about 20,000 door hangers related to the extension, and more than 150 people showed up for some meetings. He said Valley Metro had provided opportunities for community input and met federal requirements for public outreach. 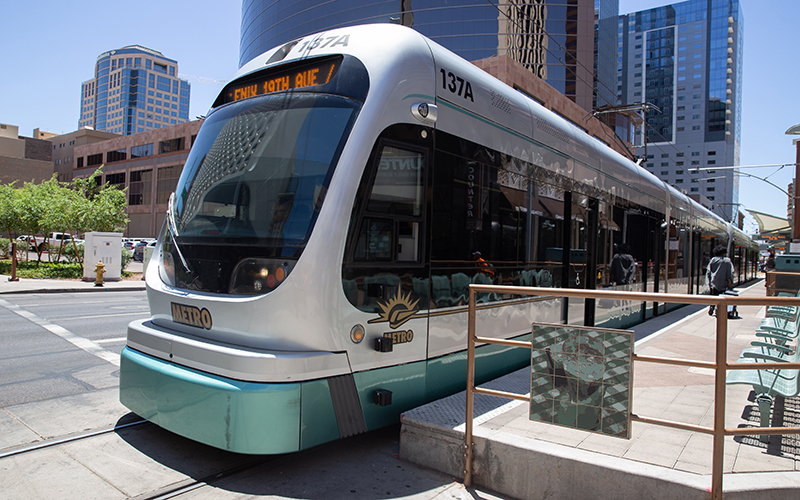 She said light rail could improve south-central Phoenix, but not with the current design, which she contends would cause traffic issues and negatively affect businesses along the line. Contreras also said she doesn’t believe voters were properly informed. Several of the conversations about the plans were held at festivals and events where it’s difficult to have meaningful, in-depth conversations. 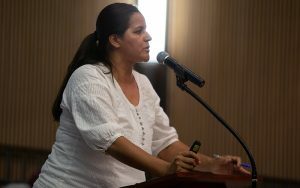 “You have to listen, because you never want to listen to us,” she told Valley Metro and the City Council on Tuesday. James Neal, co-owner of the Food City at Jesse Owens Boulevard and Central Avenue, said that although residents voted for Prop. 104, there wasn’t language indicating lane reduction on a “major arterial” road. “One lane is not going to spur development,” he said, adding that roads are just as important as public transportation. Victor Vidales, a father of five and a South Phoenix native, also supports the light rail, but he wants the city to create a neighborhood improvement plan to fix streets and sidewalks in the area. “We need transportation options to connect our people to each other,” he said. “Phoenix has been designing communities around the car for way too long. Healthy communities are designed around people, not cars. William “Sparky” Smith, a member of the Phoenix Citizens Transportation Commission, said he changed his mind about the extension after hearing about the lack of transparency. “We’re not addressing the 800-pound gorilla in the room, and that is that elections have consequences,” he said. CORRECTION: An earlier version of this story contained an error involving the cost of the light rail project. The revised cost is $965 million. The story also has gone through a significant rewrite to clarify the details of the council vote. Clients who used the earlier version are asked to replace the story with the version found here.